The music of Giacinto Scelsi is still relatively obscure, which is in keeping with the reclusive and esoteric character of the composer himself. Undoubtedly, the largest exposure his work has had come from its inclusion in the soundtrack to the Martin Scorsese film Shutter Island  , where the sinister, atonal qualities of his music contribute to the oppressive, claustrophobic atmosphere of that terrifying movie. Otherwise, Scelsi languishes in a largely self-created niche where no one other than 20th-century avant-garde musicologists dare to tread. Whilst Scelsi manages to stand aside from the mainstream of 20th century composition, he also manages to anticipate some subsequent developments. 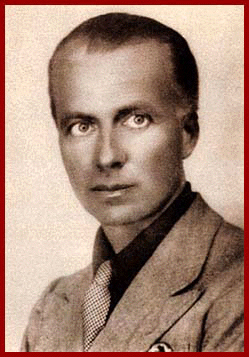 Due to his isolation and the rarity of his work’s performance, Scelsi could not really be said to be influential. But it is certainly the case that he was tapping into musical techniques and formulations that would become more important as time went on. Whilst this subliminal influence extends to some of the industrial/noise output mentioned earlier, it can also be discerned in some of the ambient pieces of Brian Eno which convey a kindred sense of numinous stillness. Eno also featured on the soundtrack to Shutter Island  .